2014/10/05 09:30 Finish! It didn’t all go quite to plan, but then I have yet to experience a beamtime session that does! 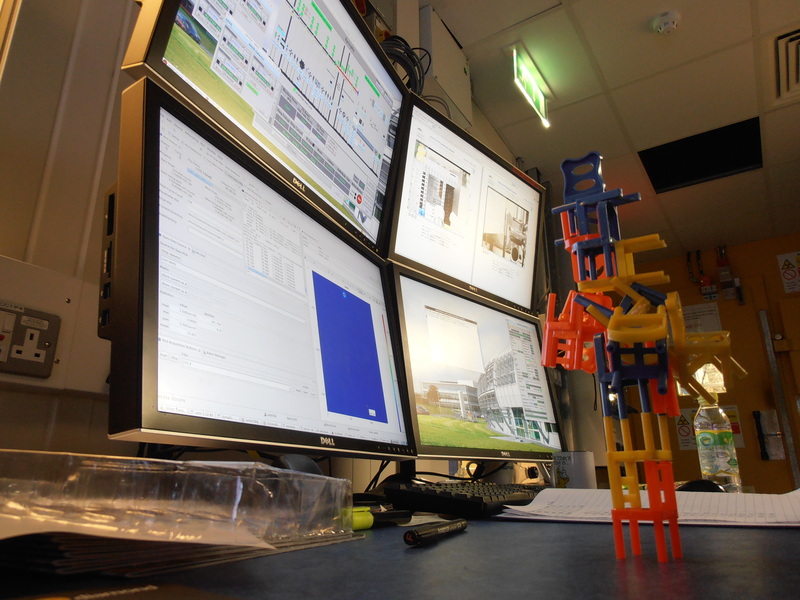 I think the key skill for working on a beamline is the ability to think on your feet and adapt. 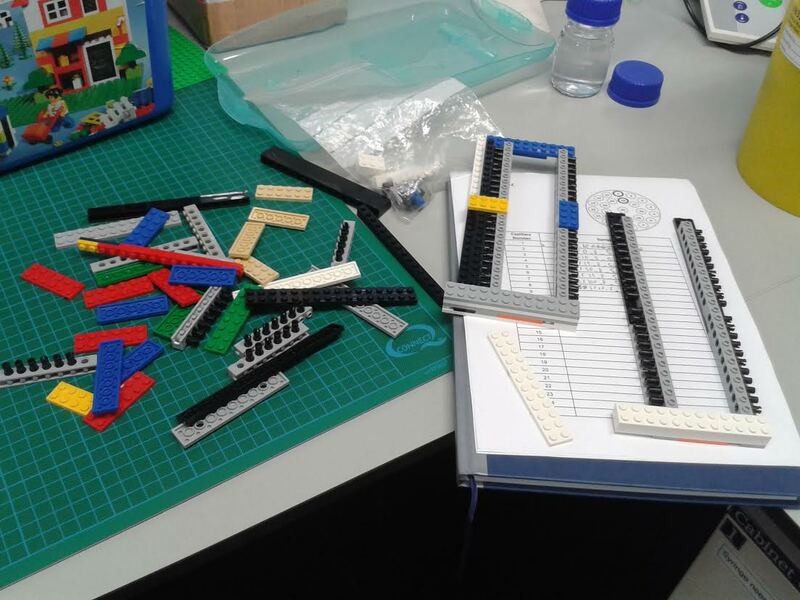 We’ve managed to run over 100 samples and Brian trialed some great new real-time data reduction so we were able to get an idea of how the samples were running even while at the beamtime. Thanks to all the team for their hard work. 2014/10/05 06:00 Many thanks to Martin and Ashleigh for letting me get some sleep, some great data during the night. 2014/10/05 00:30 Sleep for a bit, for me anyway. 2014/10/04 22:46 We’re running sample positions on rack 3, getting a bit tired now. 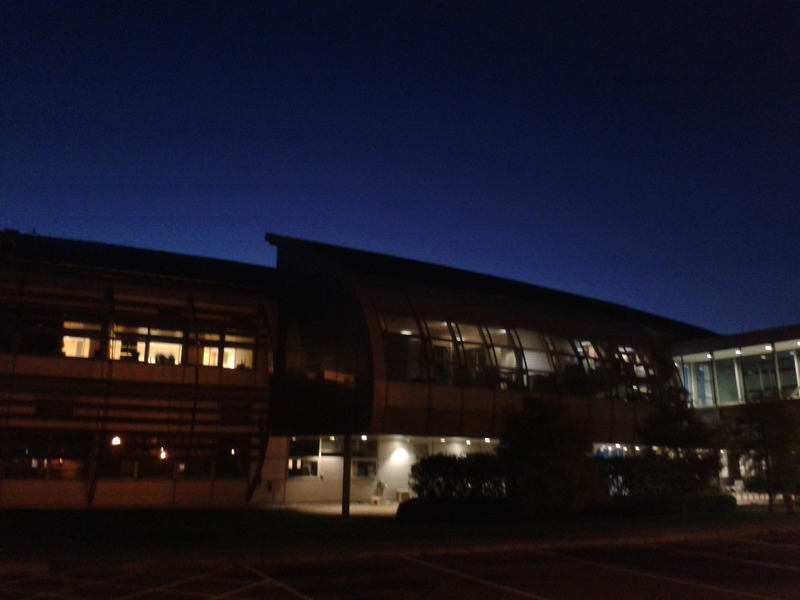 2014/10/04 20:33 Passing the time while the beamline is running fine. 2014/10/04 20:08 Loading up rack #2. 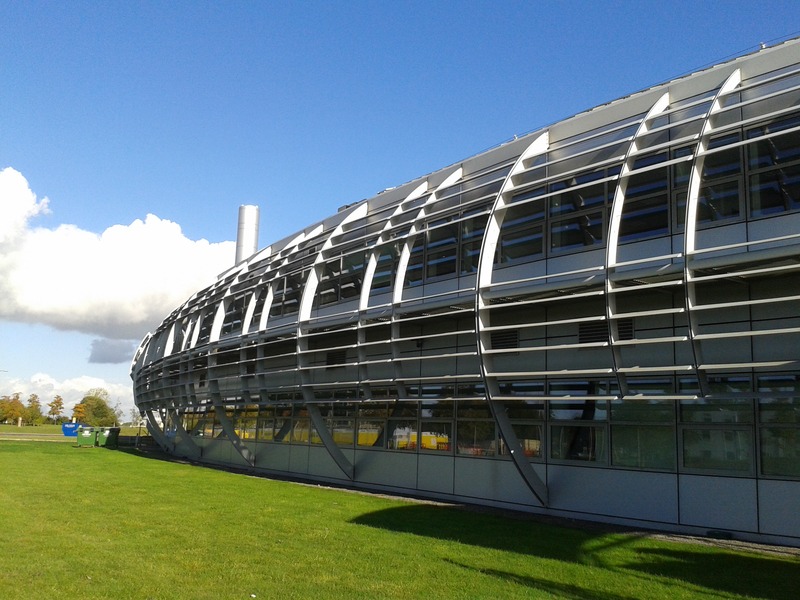 2014/10/04 16:21 Always strange to step out of the Synchrotron to find the weather has completely changed. It was raining hard all morning. 2014/10/04 15:55 The first data is being collected! 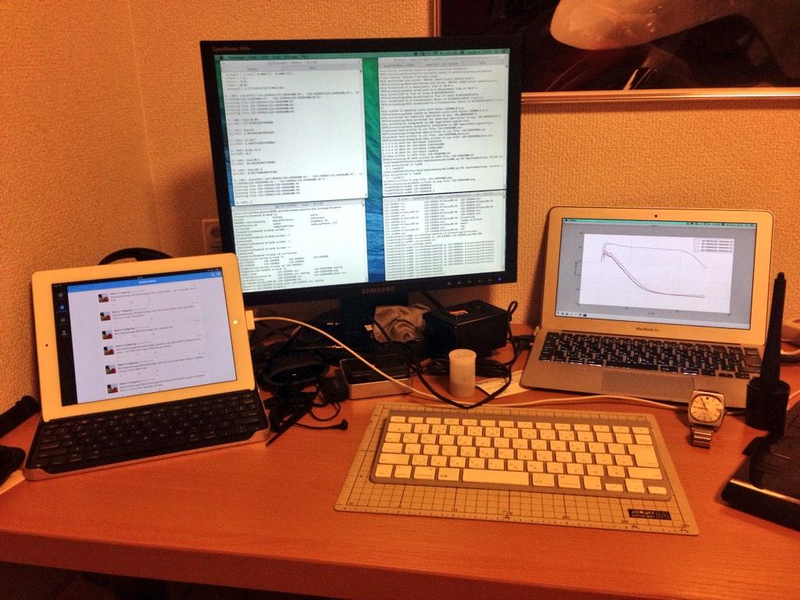 2014/10/04 14:16 At the other end of the collaboration – Remote real-time data processing in Japan! 2014/10/04 14:14 And we have a direct beam! 2014/10/04 12:18 It’s been a bad day and night – no samples run yet but it’s looking a bit better at I22, here’s hoping we get some samples run later. That’s beamtime for you! At least we all got ~7 hours sleep last night. A record for me on an X-ray experiment! Here’s a picture looking out over I22 around the Experimental Hall. 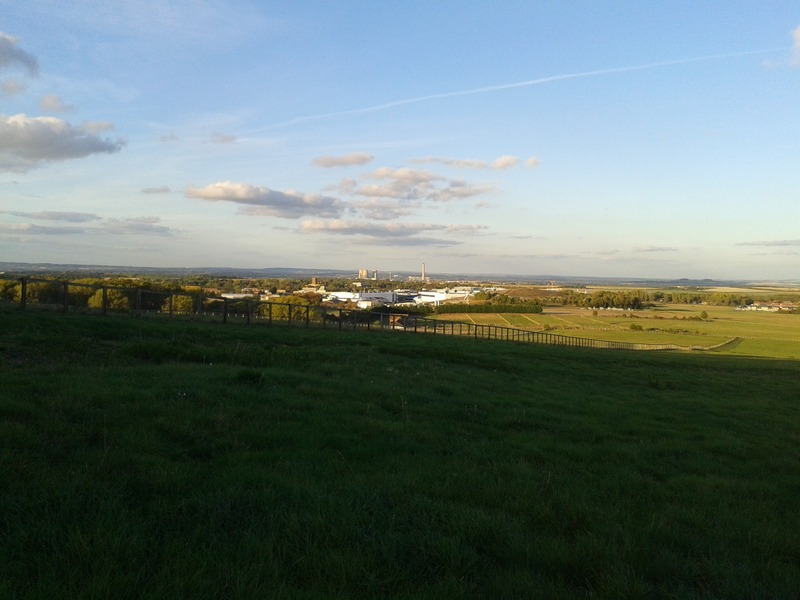 2014/10/03 17:50 Problems at the beamline have a silver lining – time for a quick jog out to the Ridgeway – views of Rutherford Appleton Labs in the evening sun! 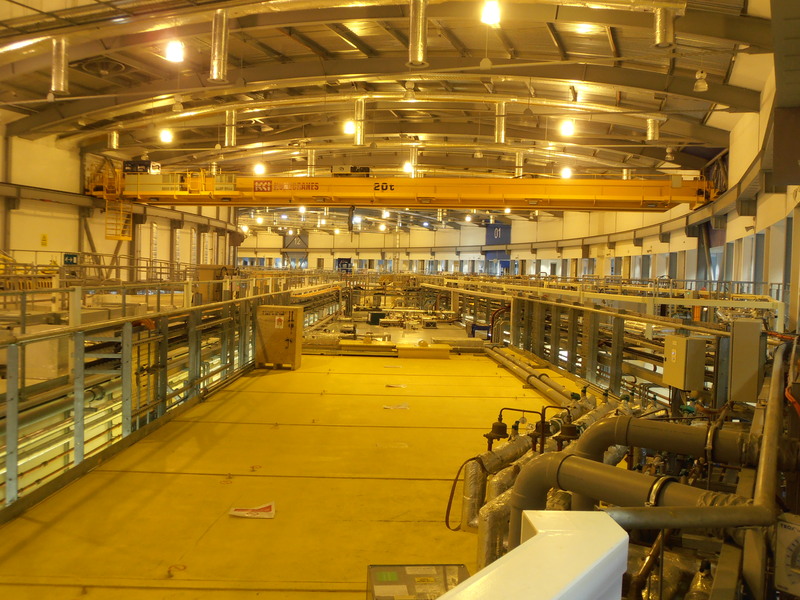 2014/10/03 11:00 We’re waiting to start the beamline session and looking forward to getting the first data for Brian to start reducing!